How do I feel today – Nice day. Attended a tea. I actually did a table. I was all tizzed about it but think it went well. However, mixed feelings. This is my fourth one. I walked in first time four years ago in a dress, today with a cane and pants. But I am walking better than I have due to the drug. See above. I went to a tea, very girly. My husband was wonderful and helped set up and breakdown. There’s a jewelry boutique so I got to shop! And then went to Odd Job afterwards for this and that. I didn’t work. It’s a real break. What did I eat today and how did it make me feel – BAD. It was tea! I did do a smoothy before I went but scones, salmon tea sandwiches, chocolate. Then Chinese food. I have been seriously sliding and need to recommit to proper eating. I need to max the opportunity the Ampyra has given me. Did I exercise? What did I do? How did it feel – Still not going to the gym or Zumba. But I am walking more. I will get to gym. This was the least I have walked all week. For whom or what are you grateful? What matters most in life? Grateful for friends and the possibilities of new ones. Grateful for the people I am meeting through the blog. Ampyra. New possibilities. How long have I been treated with conventional medicine Ampyra, two weeks. And it is working. I was able to walk longer and stronger. How is stress level? It’s high. Trying to tone it down. What can I do tomorrow to make it better than today? Start over. It’s a new month. Have a different day. And yes, I am thinking about things other than disease and death. I am thinking about art and new jobs and possibilities, flowers and spring. Dolly Dawn – part of my childhood. I come from a mixed family. 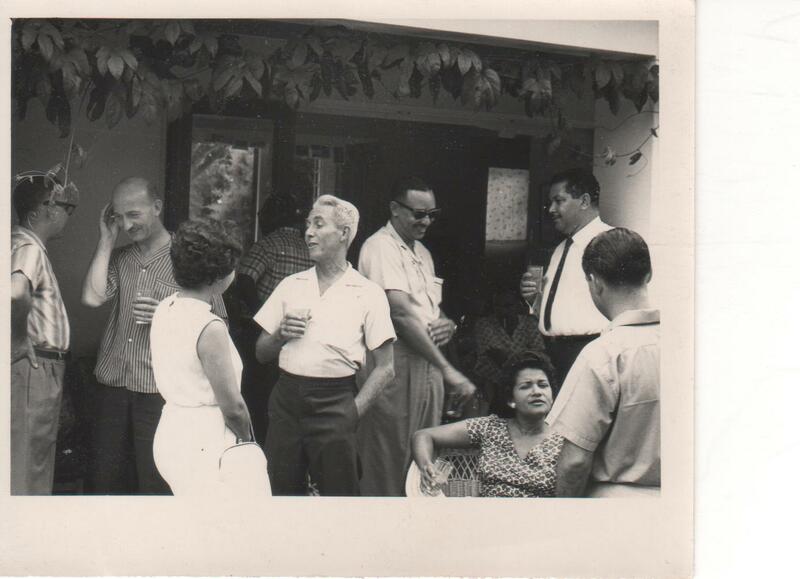 My mother was Jamaican and my dad was from NY and Jewish. We celebrated everything. They respected each other and their faiths. So tonight the kids and I celebrated Passover. It was one of those weeks. First night of Passover was Good Friday – not happening. Saturday they had a Seder with their mother. Sunday we celebrated Easter. Monday was out due to Sunday. Tuesday I had a doctor’s appointment. Wednesday was their mother’s birthday so here we are tonight. I came in late as the trains were beyond messed up and just turned on the ipod. It was West Indian music. After they left, I cranked the Belafonte. And danced. Well, it kinda resembled Tom Hanks in Forrest Gump. But I sang the songs of my childhood and moved. I played calypso. Pretty, pretty Dolly. She gonna dance, she gonna sing, she gonna cause the rafters to ring. In my family, we danced, especially around holidays. My dad used to spin me and sit down. We would limbo. I felt reconnected tonight. I miss my family. I miss dancing. I kinda did it tonight. It gives me hope – spectral leg and all.